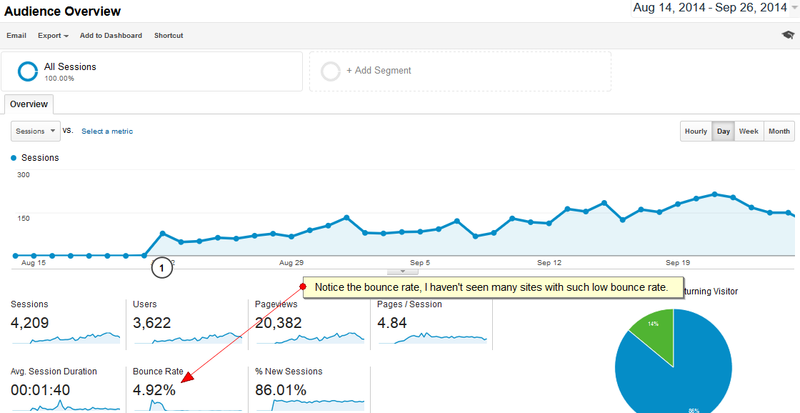 Here we go with our first Case Study (Ranking Site From ClickBank Niche), we will take it slow, this one does not make a lot of money for us because it&apos;s just a 2.5 months old site, but this will tell you that how easily you can still rank in Google with the help of Link Authority Network with in just a couple of months for terms (in totality) having 100K + search volume. Everyone says Clickbank is exhausted and it&apos;s too competitive to promote its products. We have been into SEO for 4 years now and we think the best thing that ever happened to SEO were the 2012-2013 Google updates. They opened floodgates of opportunity. People just need to play the game new way and stop being Dinosaurs. Nothing is too tough to rank for anymore. We have ranked for French version of Binary Options (Option Binaire) on 1st position for 6 months. We were already promoting a couple of products from health niche and had ranked them on position 1 with the help of Link Authority Network, problem with them was that they didn&apos;t have a lot of search volume and even though we were ranking on top position they get us sale or two every other day. People Really Wanna Buy: Has Gravity More Than 50. Here is the screenshot of the keywords that we decided to go with: The search volume is much more than what is shown here because these keywords get more searches in summer. You can click here to view the image: http://i.imgur.com/VwenFce.jpg. 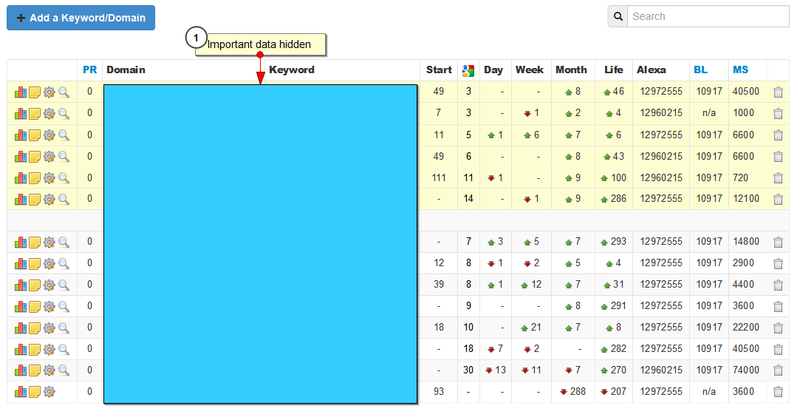 So once we finalized these keywords, we added them in SERPBOOK, that&apos;s the keyword tracking tool that we use. It&apos;s nice, it has it&apos;s glitches but we like it and it&apos;s the best we know of so far. People and so many SEO gurus say exact match domains are dead but 9 out of 10 sites that we use are exact match, but in this case we couldn&apos;t land one. Looks like people have been trying to rank for these keywords for years. It&apos;s not that we were not able to find an exact match; it&apos;s just that It was dropped multiple times previously. We avoid using dropped domains no matter how clean there backlink profile has been. Atleast 30% of the backlink profile needs to be Branded, so that we get an opportunity to target my anchor text quite a bit. Being an exact match or partial match my keyword variations are also to good amount. WE ARE ATTACHING A SCREENSHOT OF OUR BACKLINK PROFILE HERE, IF SOMEBODY CAN FIND A NIFTY LITTLE TRICK THAT WE USE TO RANK SITES FASTER, WE WILL COME OUT IN OPEN AND EXPLAIN THAT. 30% brand and naked URL targeted. Only 2-4 backlinks every day from different domains, they are slowly drip-feed in an automated way and we see the rankings rise day after day. P.S. For the first week we target only brand and URL, from 2nd week we start targeting the keyword variation and from 3rd week we start targeting exact match keywords. So before even we start targeting exact match keywords sometimes we start ranking in top 100 or something. P.P.S. Our links are not coming from same category to which our domain belongs, it&apos;s coming from all kinds of different niches, but the on-page content of the link is 100% handwritten and is on topic, We only use Link Authority network for this. So we generally don&apos;t see any rankings for first week or two, cause not only are we building only 3-4 links a day also it takes some time(2-3 days) for Google to index them. But we start seeing that our keywords are in top 100 in first 3-4 weeks, some keywords get top 20 as well depending upon how competitive they are. Every time we tried to rank a site in as less as a couple of weeks by sending it a bunch of 50 very high quality links at once or 100 high quality links at once, We got initial rankings but then it dropped off bad. So we don&apos;t do that anymore. Your link velocity is 3-4 links a day. You are using contextual high quality links. The on-page content is original. The domain relevance is important but not that critical. You can click here to view the progress graph: http://i.imgur.com/cWRptyv.png. Obviously with increase in rankings we will get good traffic right at our doorsteps, and the best part about the traffic is that it&apos;s targeted so it converts decent depending upon the website copy. You can click here to view the image: http://i.imgur.com/BBvKUrL.png. As we mentioned earlier with targeted traffic you don&apos;t have to worry about sales, Here is a snapshot of the clickbank sales graph, A single sale would get us about 25-35 USD. And since the traffic has just started to come in we are pretty sure that our traffic will be 5-10 times as soon as we hit position 1 for our keywords which will be 5-10 times more sales. You can click here to view the image: http://i.imgur.com/uKbkGqy.png. P.S. We have missed quite a few points in this case study which were originally in or mind because we needed some more time before putting this live. This is how Link Authority works and helped us to make big bucks. Want to test drive link Authority? We are offering new members FREE quota for a limited time. To earn your credits, simply go to BHW thread linked here and post an honest review. If we like your review, your account will be credited with quota of 15. Don't forget to create a support ticket after leaving your review.